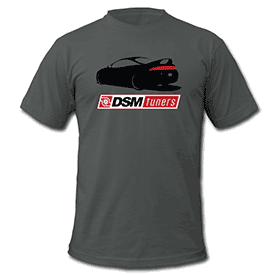 We definitely have some DSMers out there running our injectors, and we were hoping we could get some of them to send us links to videos of their car at the track so we can keep track of what they're doing. We have plenty of videos from our Honda customers (yes, we know Honda is a bad word around here), and we know sharing those videos with the 4G63 crowd isn't going to drum up much excitement in the Mitsu community. So please do reply here or email your video links to marketing@southbayfuelinjectors.com! Send us your DSM videos running SouthBay or even RCI fuel injectors!!!! Talon96fwd, dexterholland04 and ErikTande like this. Send some free injectors and I'll get vids for you as long as you like big burnouts I run eight 2200cc bosch. Do you flow match them? tametalon92 and ErikTande like this. Yes, we flow match them. Give us a call if you're in the market for a set. I assume this would be for your LS-swap? That would be great. Much appreciated. Road Race Build 2G Auto Eclipse Time Attack race build!